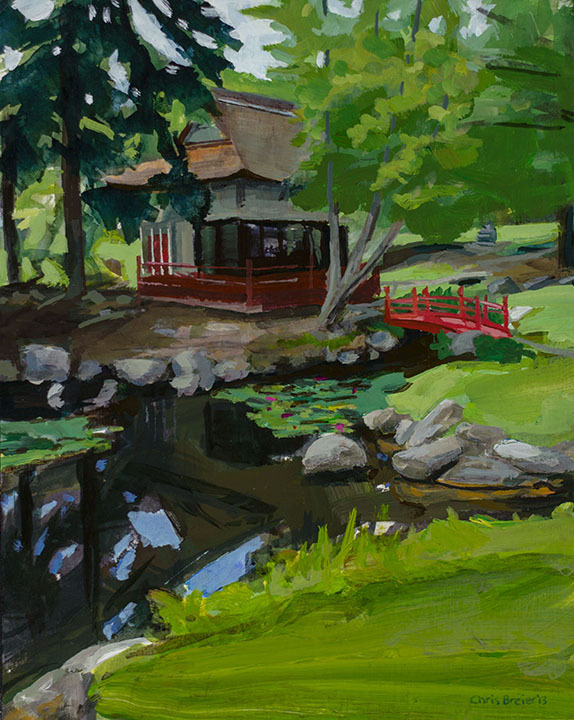 The Japanese Gardens (at Sonnenberg Gardens) features a tea house, a koi pond and a Bronze sculpture of the Buddha. All of them are depicted in this painting but the Buddha sculpture can be difficult to find. Can you find it? (Hint: only the crossed legs of the Buddha are visible in the painting).